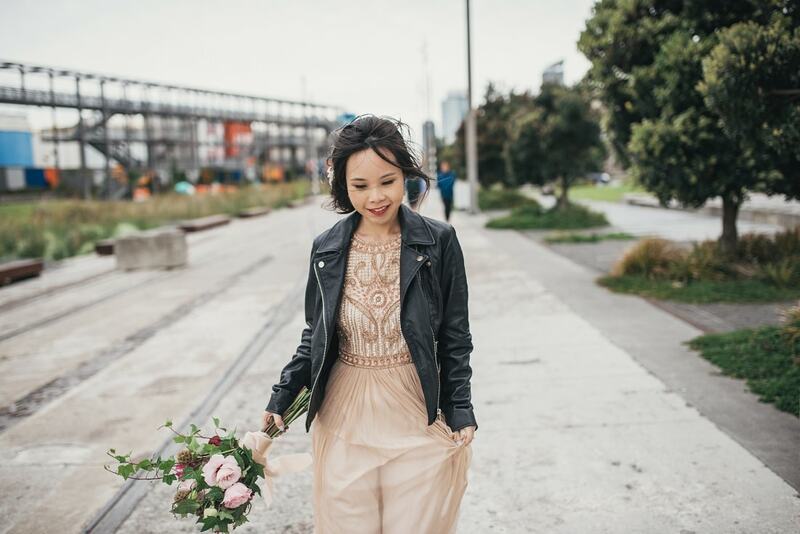 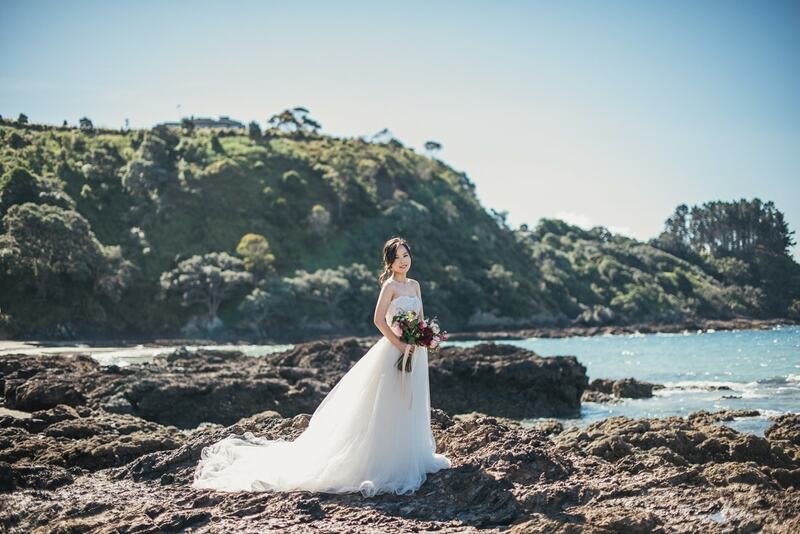 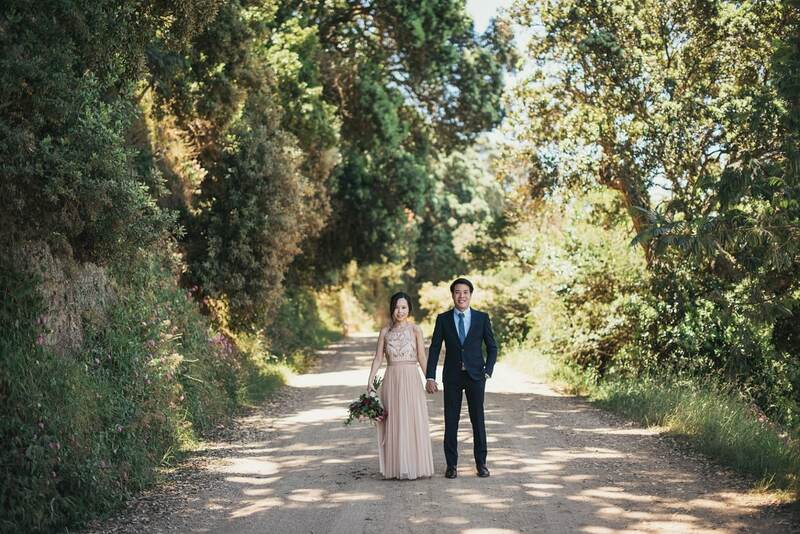 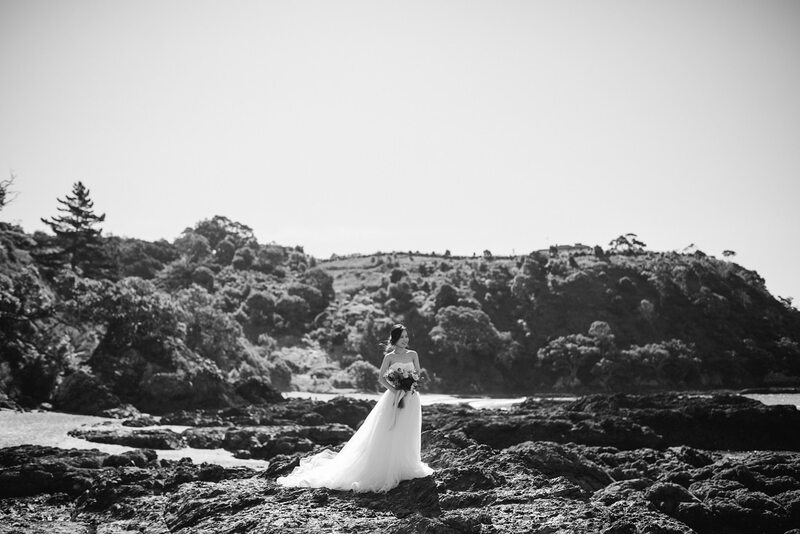 Mei’s family were planning a holiday to New Zealand so she thought maybe adding a Pre-Wedding shoot on to it would be an idea! 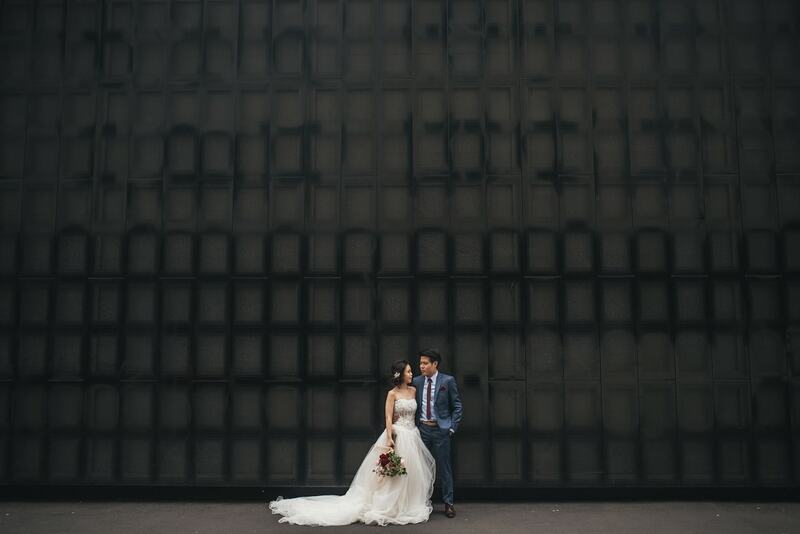 And why not right! 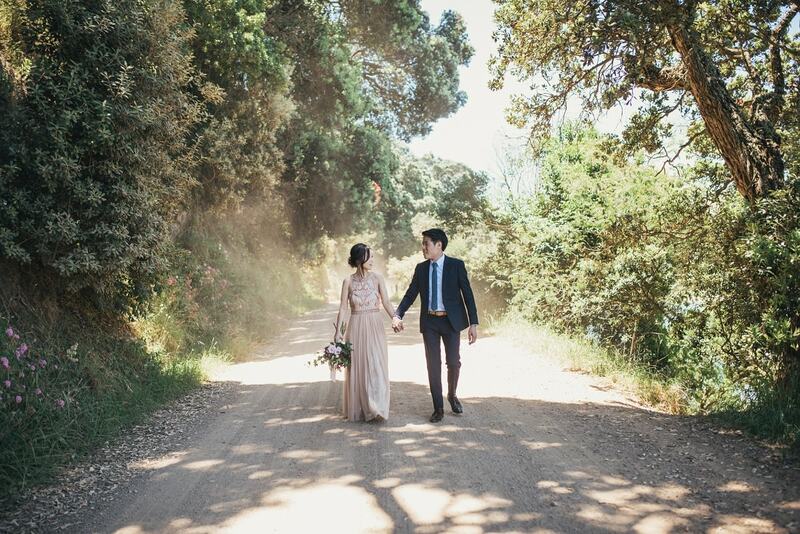 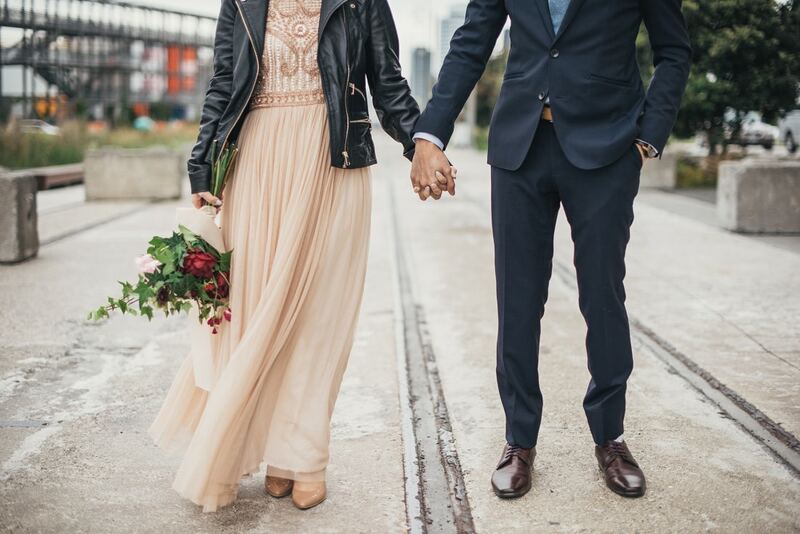 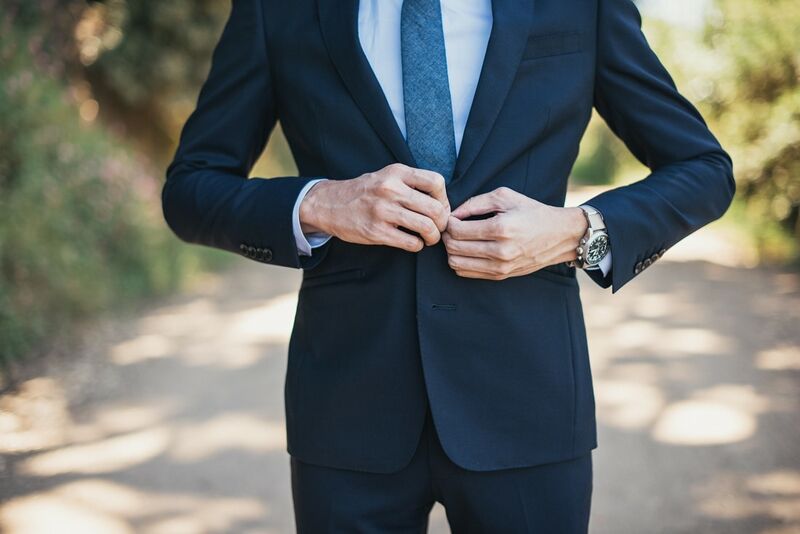 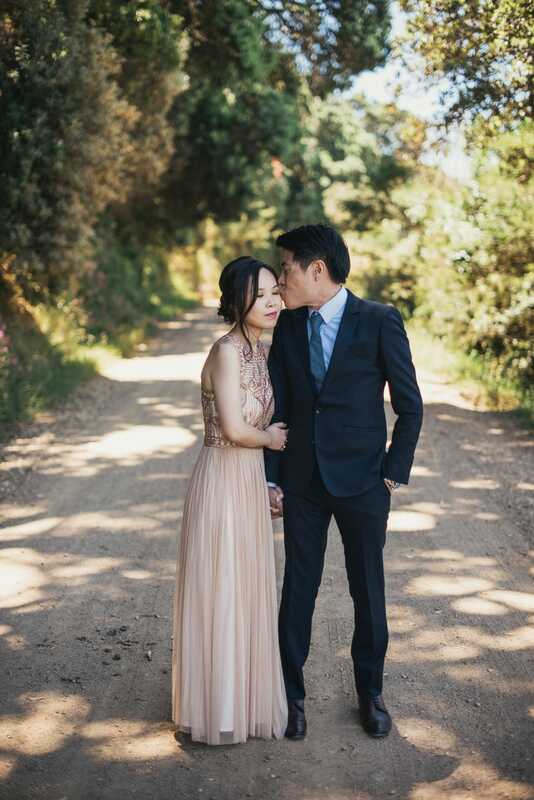 It’s ALWAYS a great idea to get some fabulous photos of you and your love when you’re traveling! 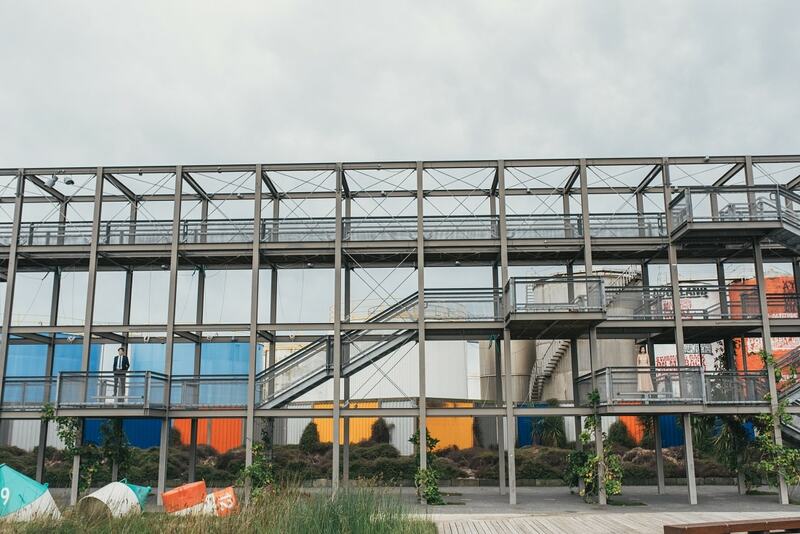 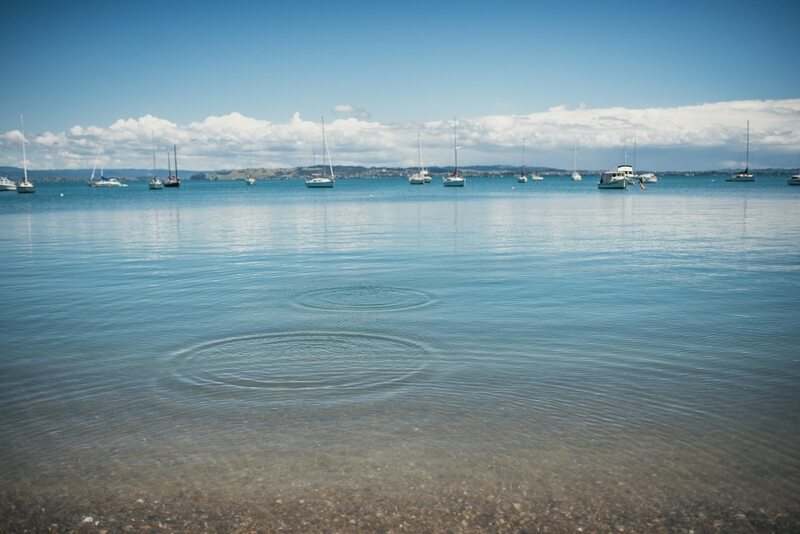 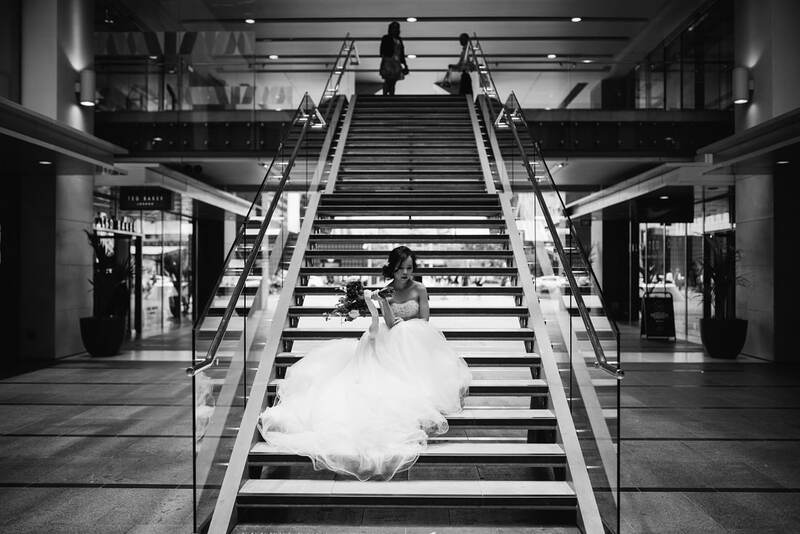 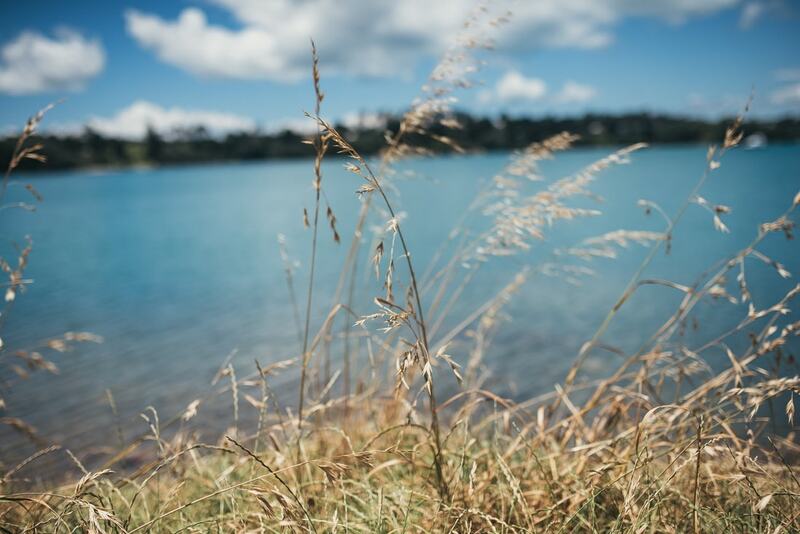 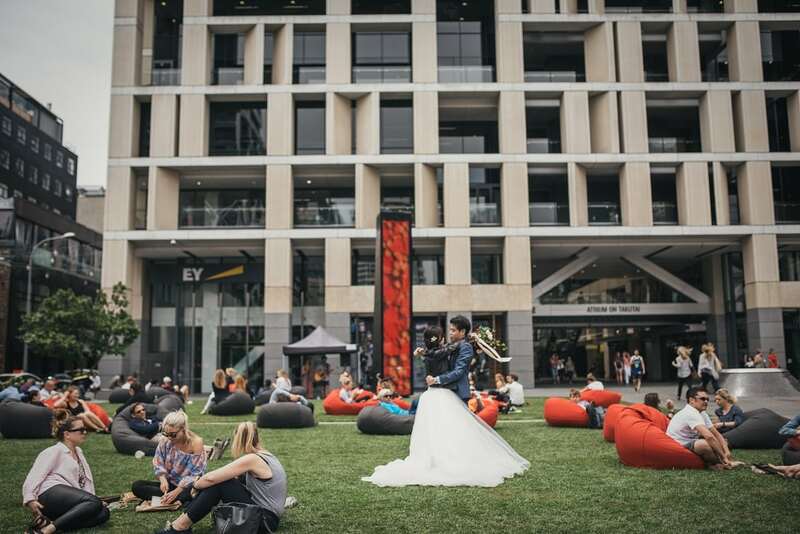 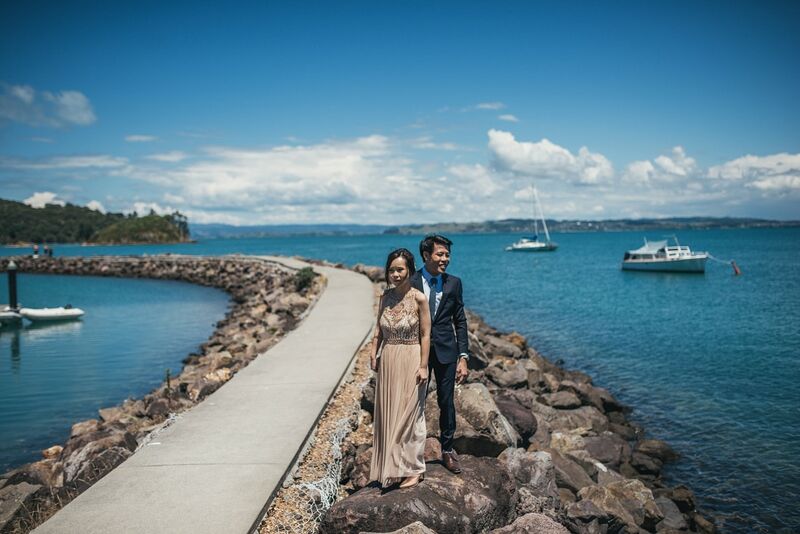 We had two days with Mei &d Joshua, shooting on both Waiheke Island and in the Auckland CBD around Britomart and then across to the Wynyard Quarter. 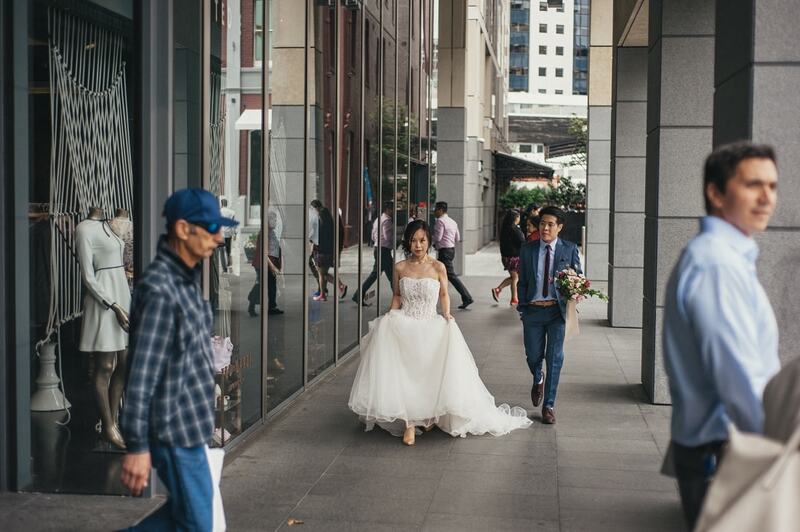 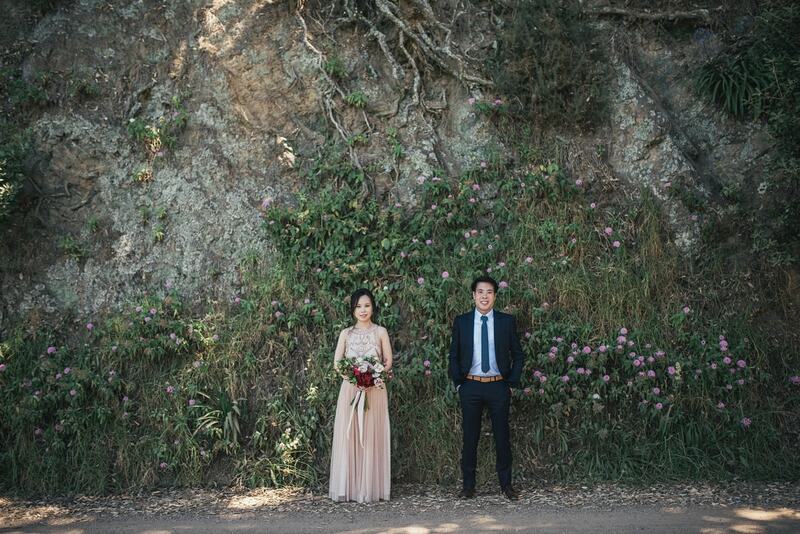 These guys were such a wonderful couple, not only photograph but hang out with. 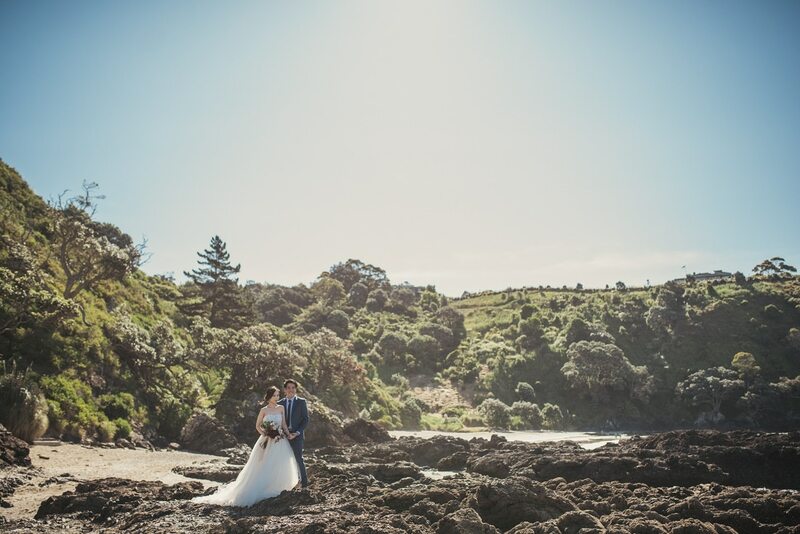 We had some major laughs and got to show off some of the beauty that is out backyard (New Zealand). 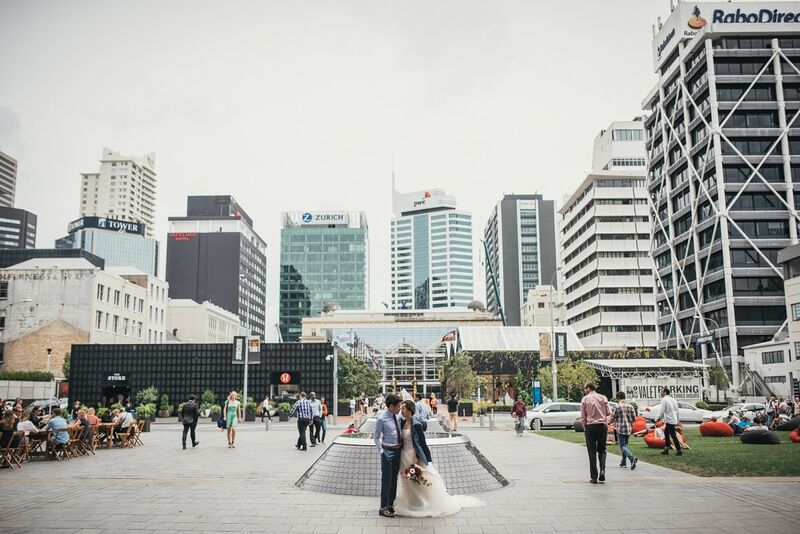 We had a bit of a mix of weather, as you do when you’re in Auckland but since we were in Auckland the second day we only had rain once! 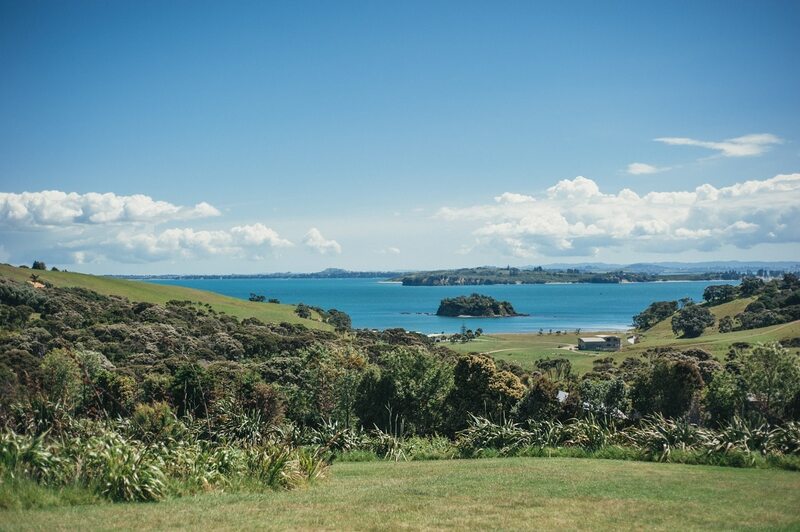 And a little bit of sunburn for our time spent on Waiheke Island. 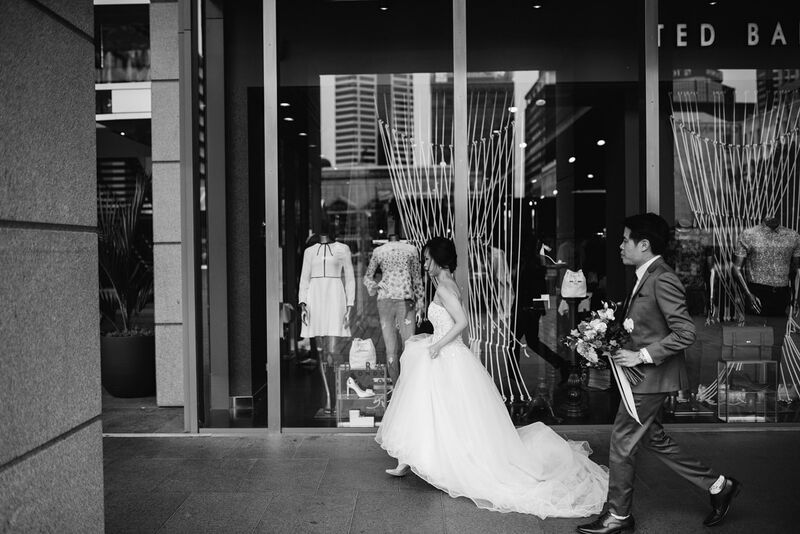 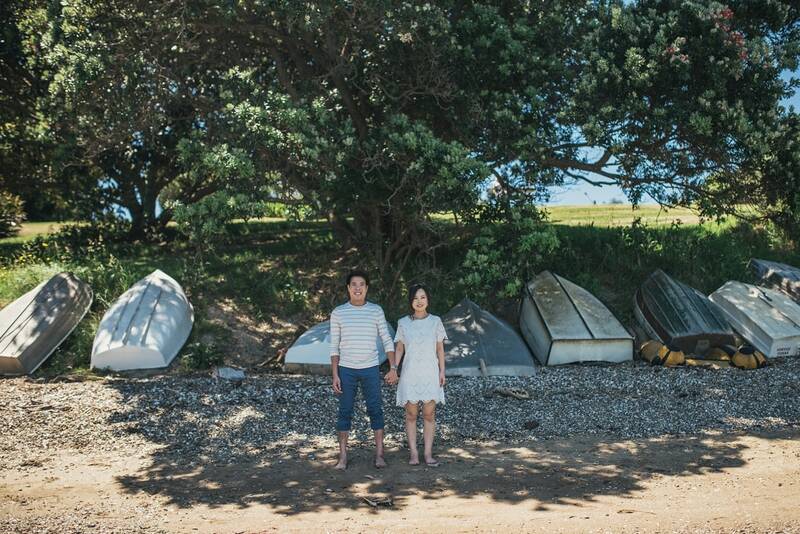 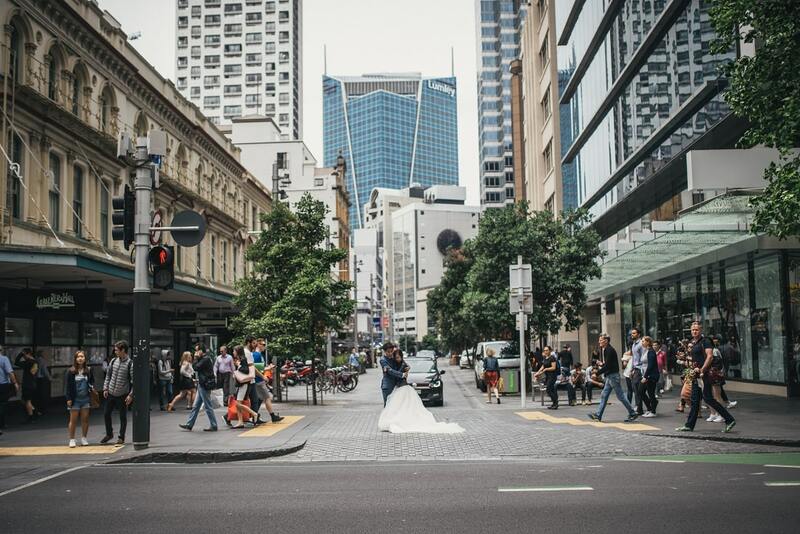 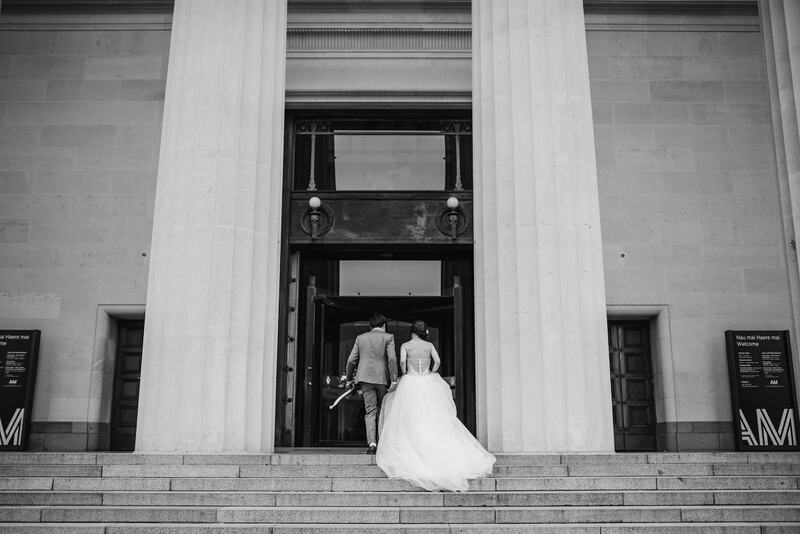 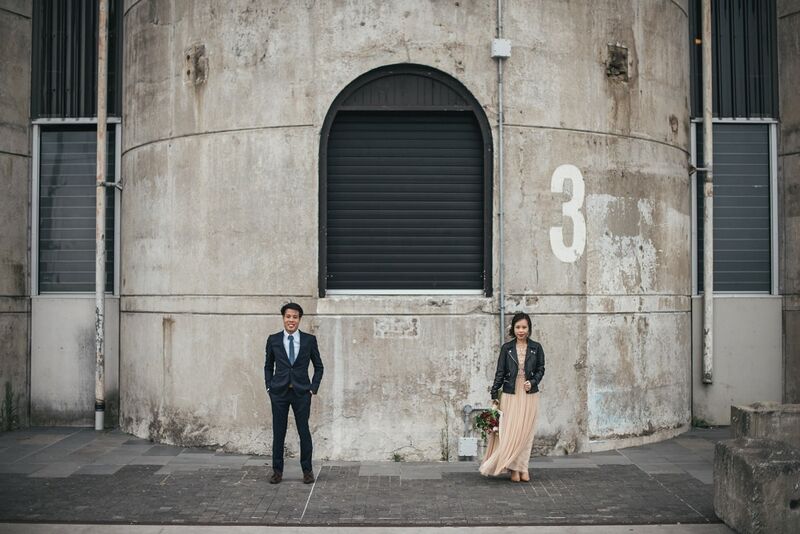 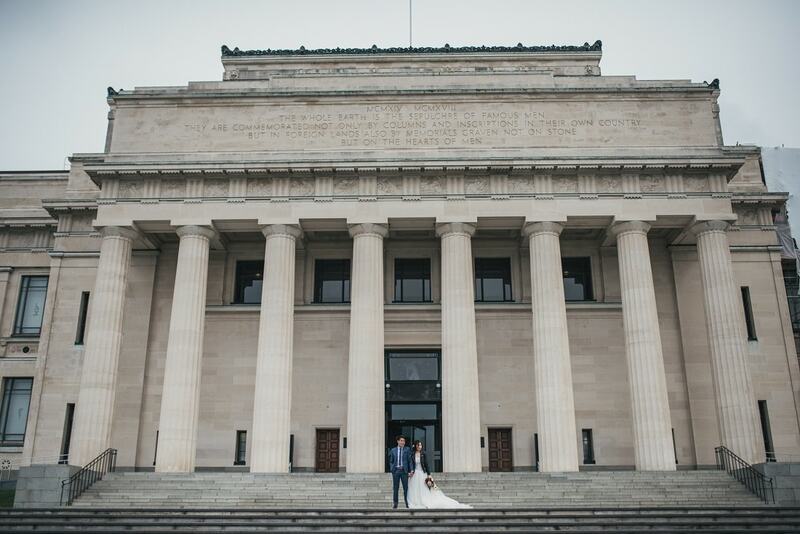 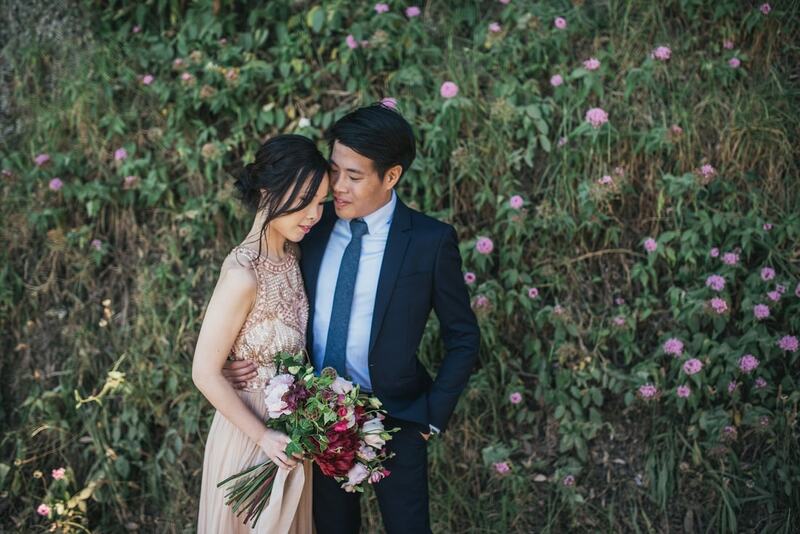 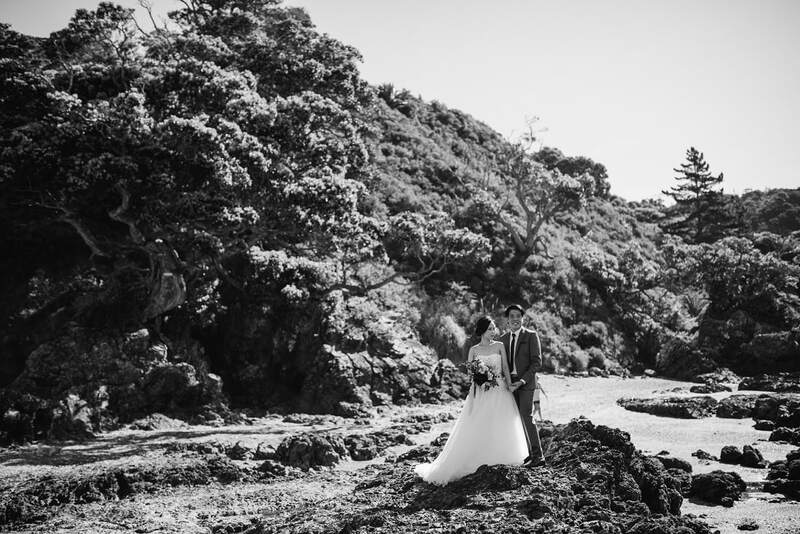 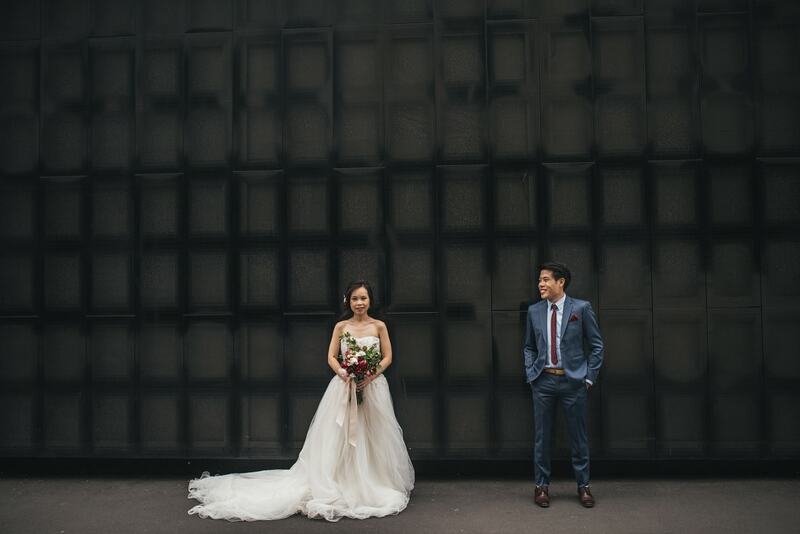 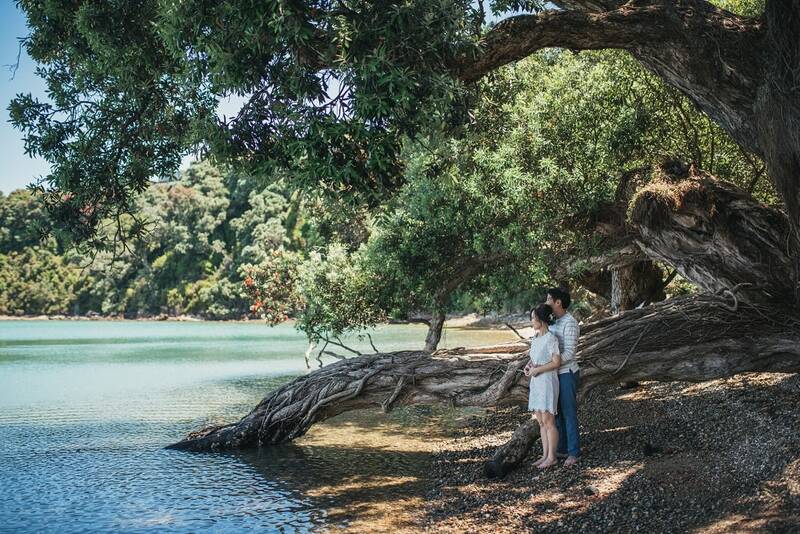 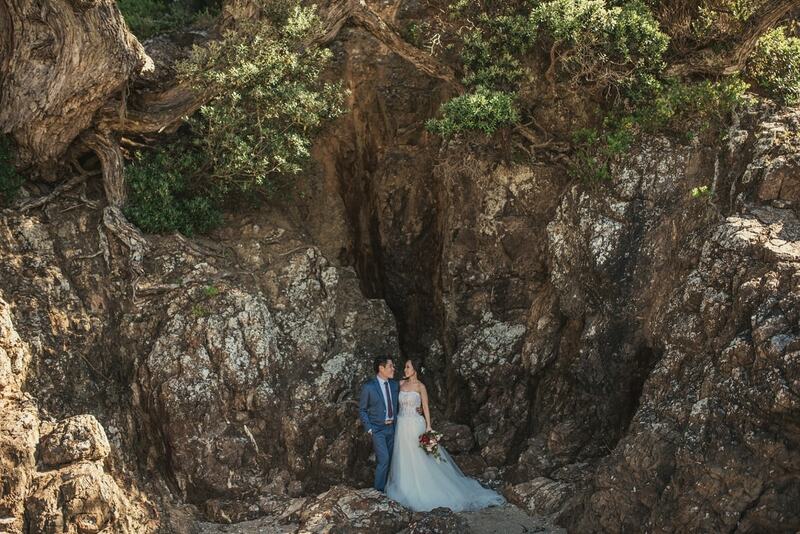 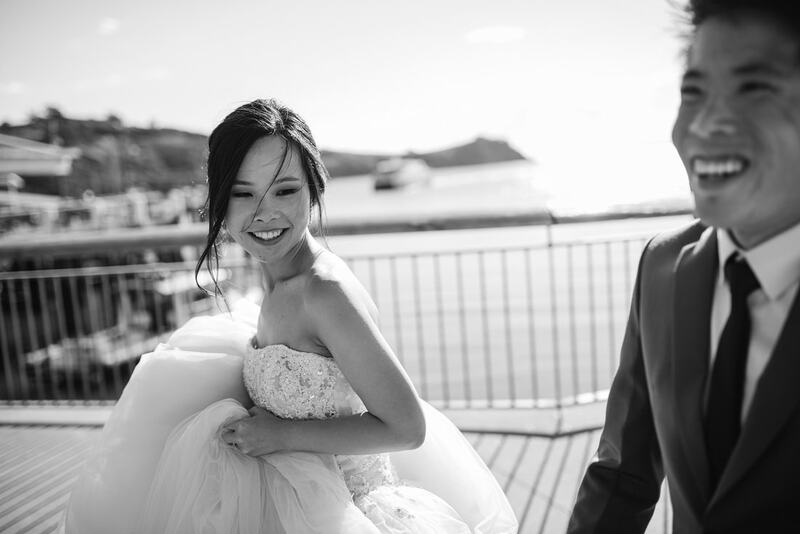 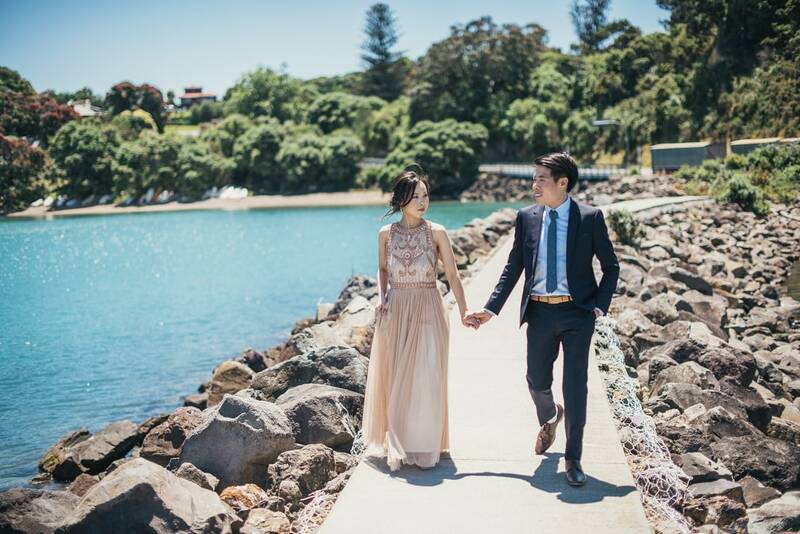 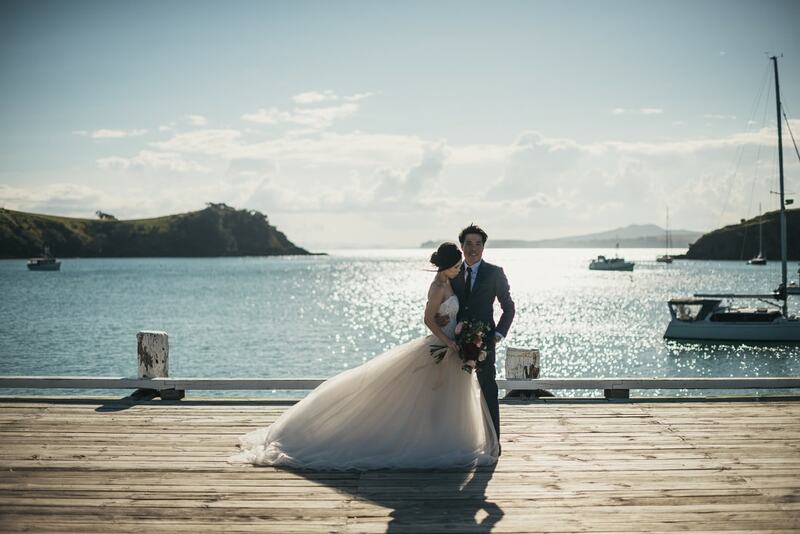 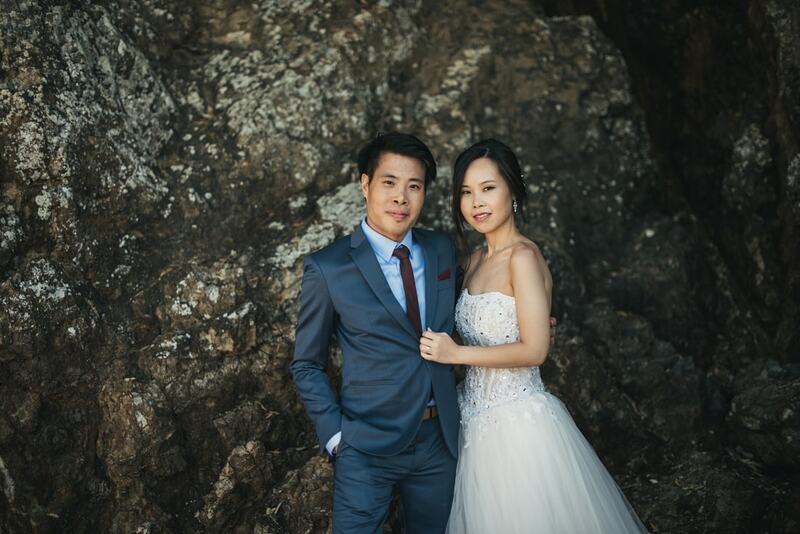 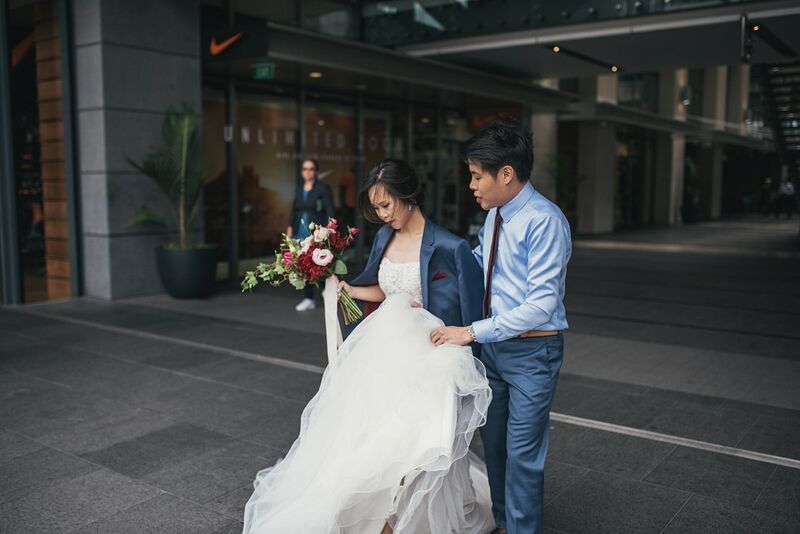 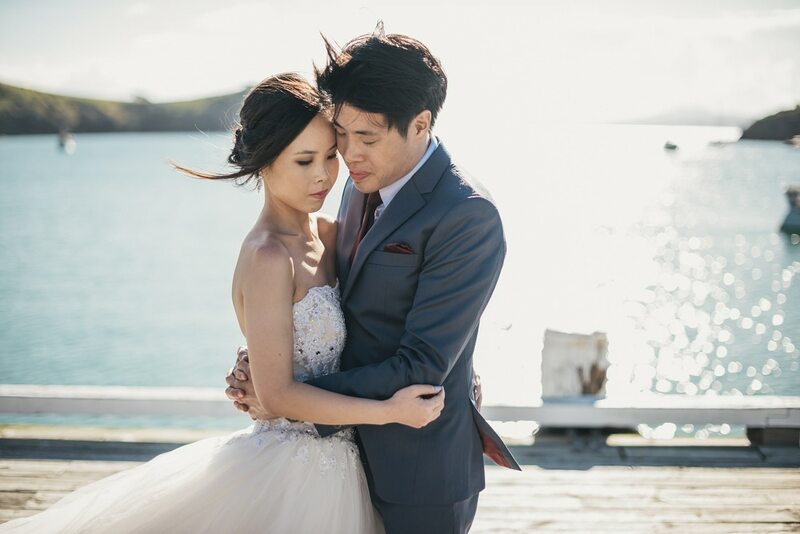 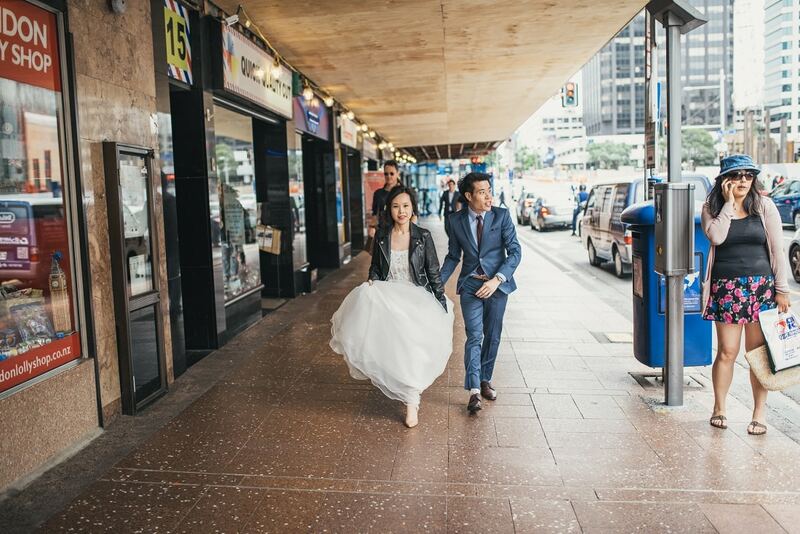 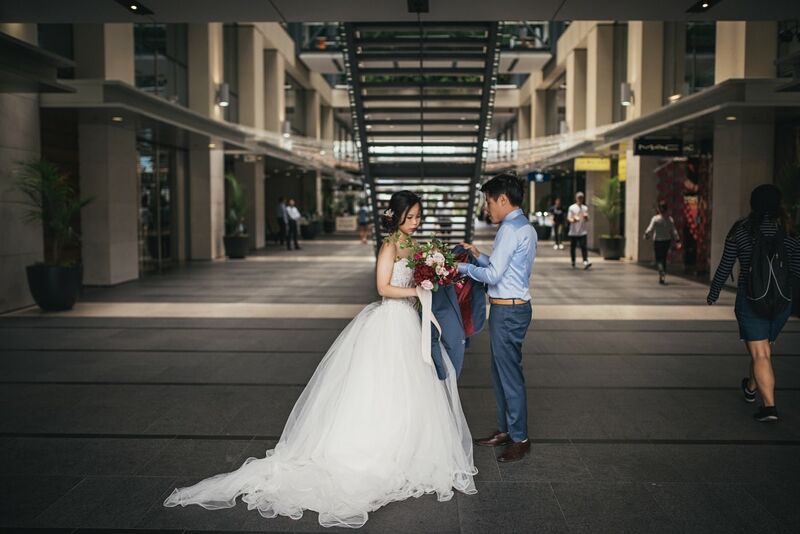 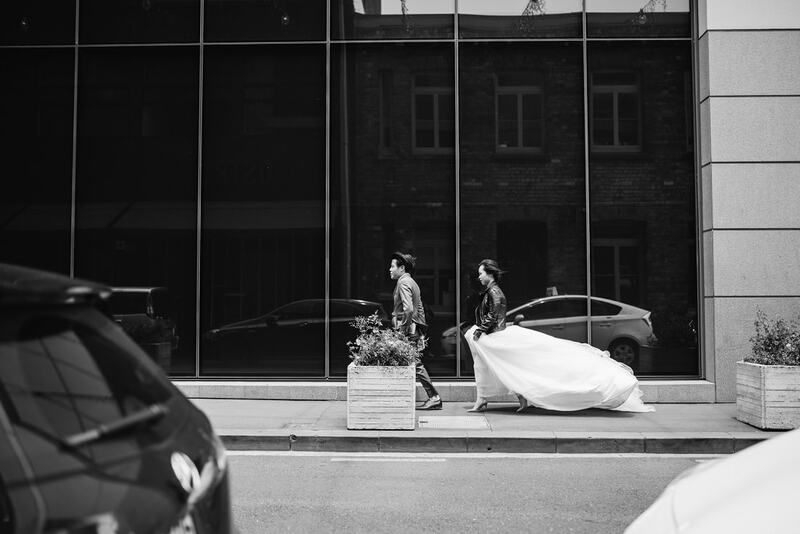 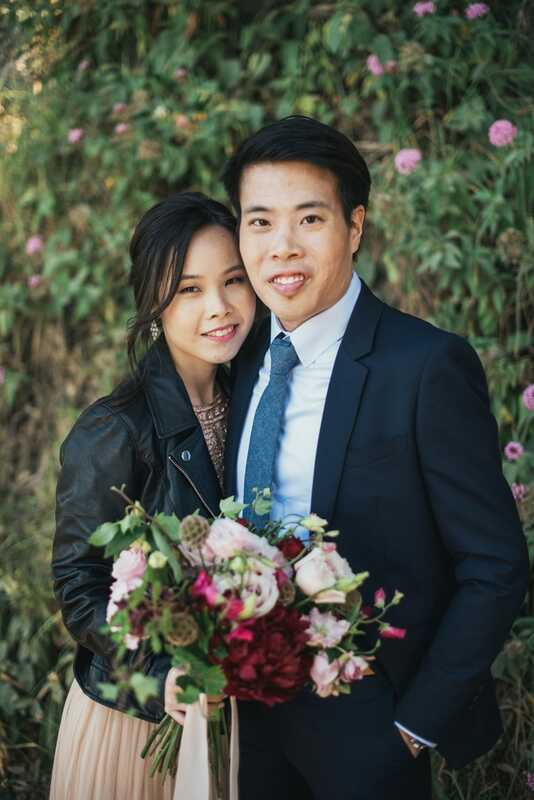 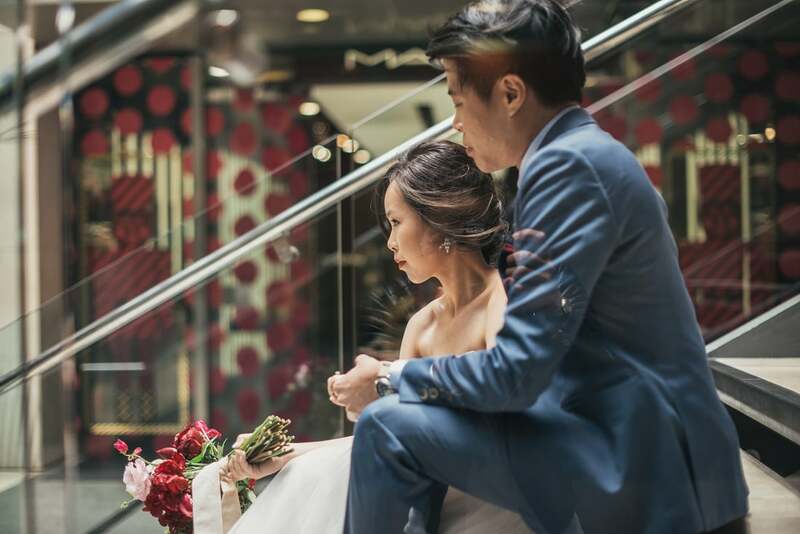 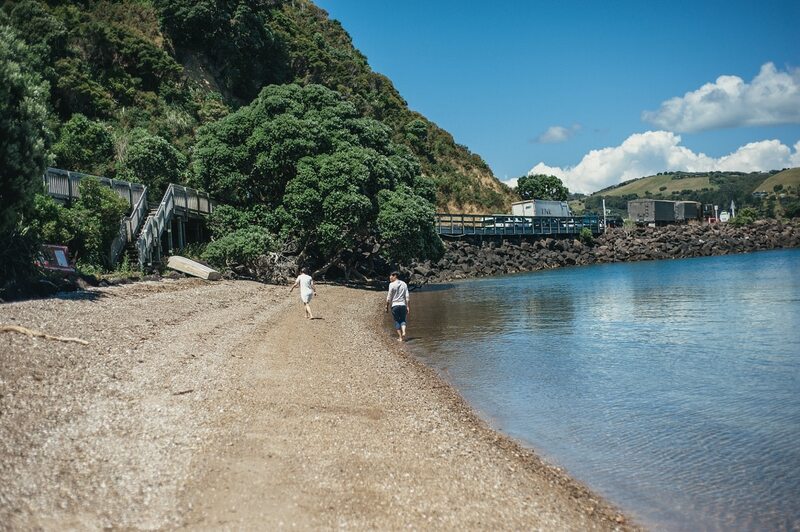 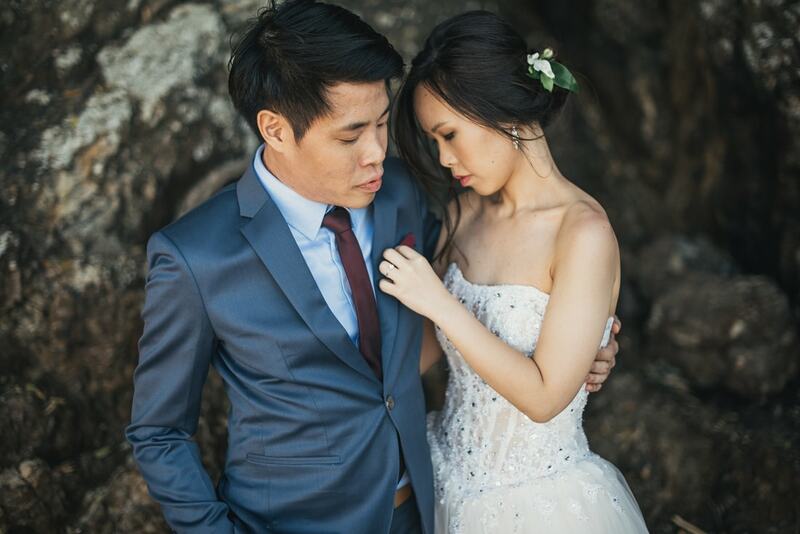 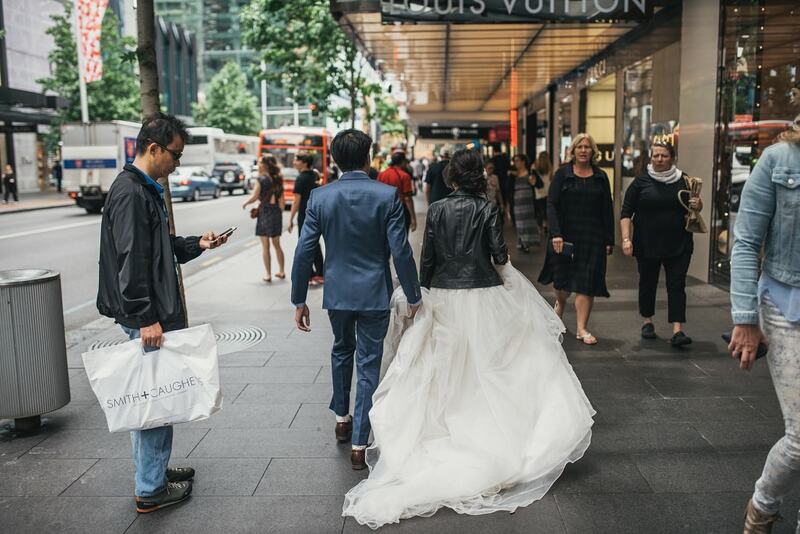 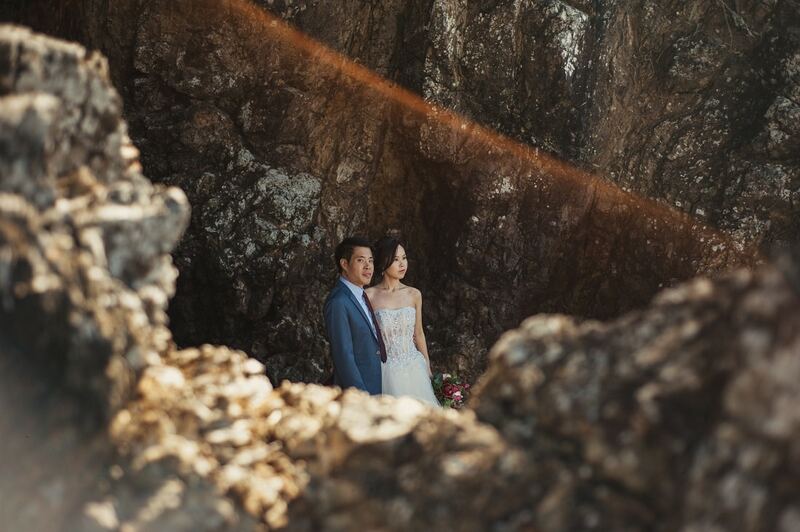 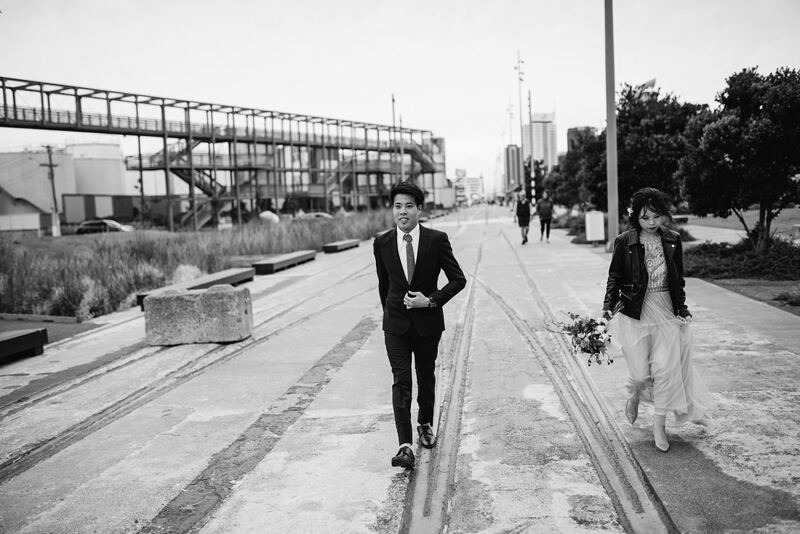 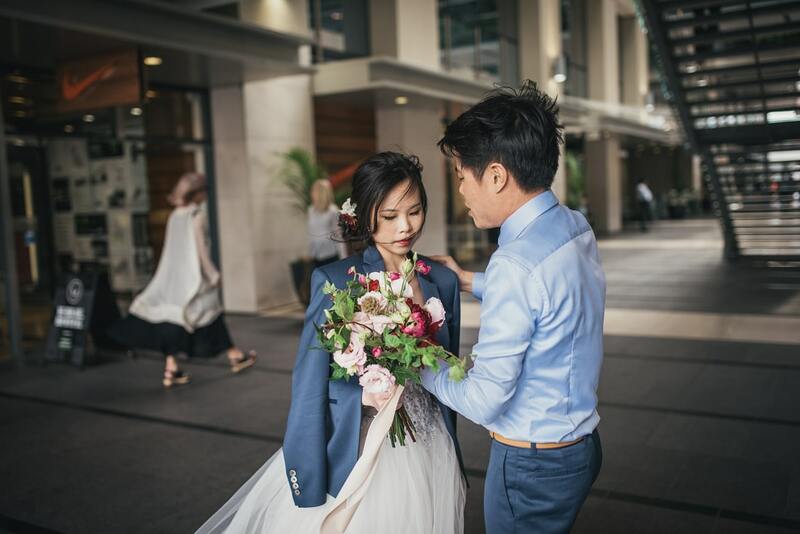 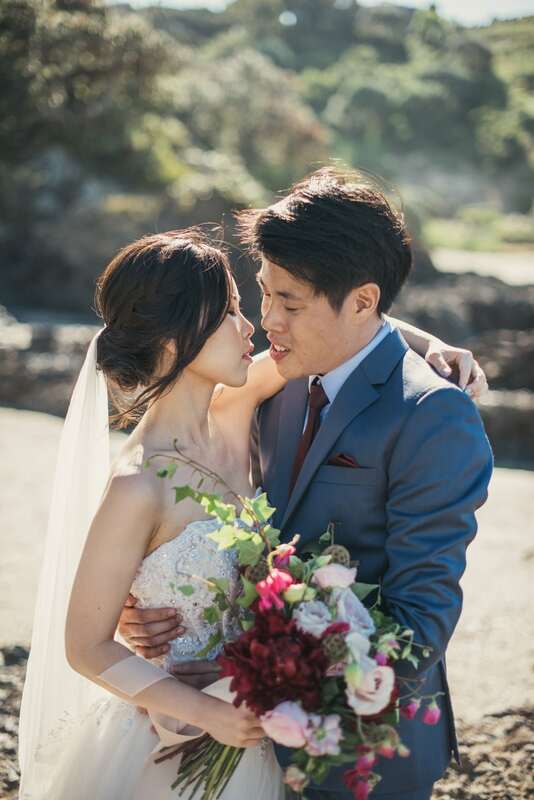 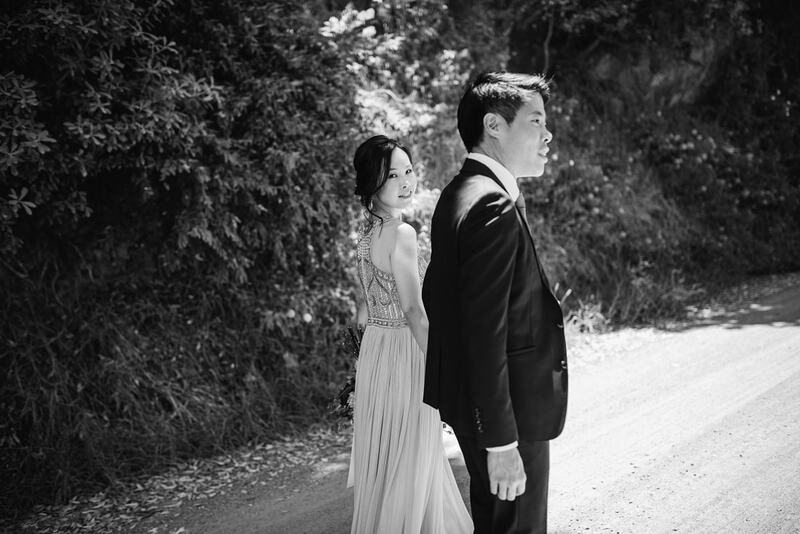 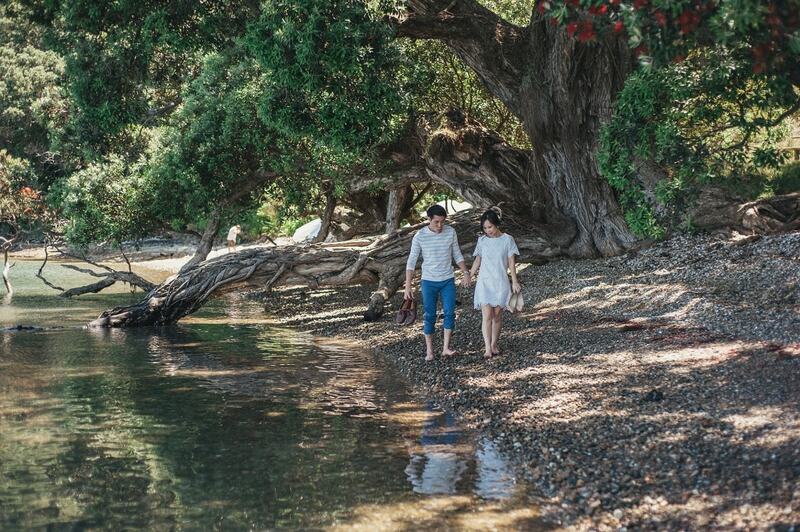 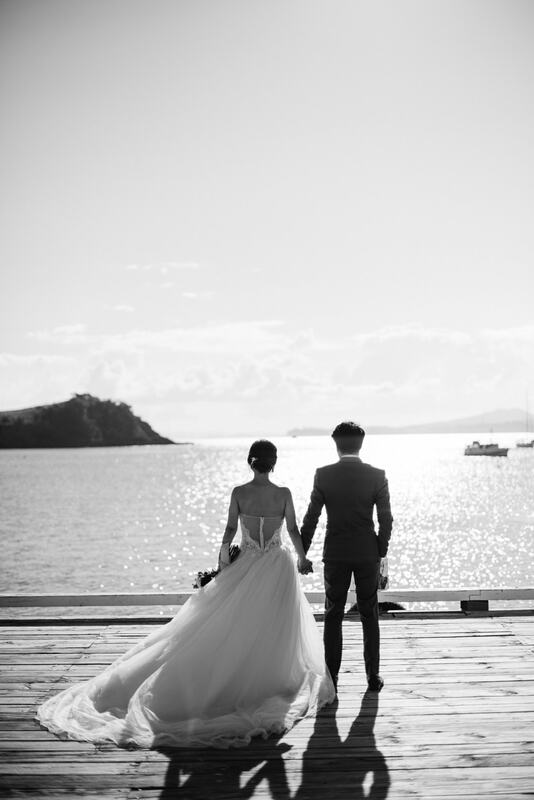 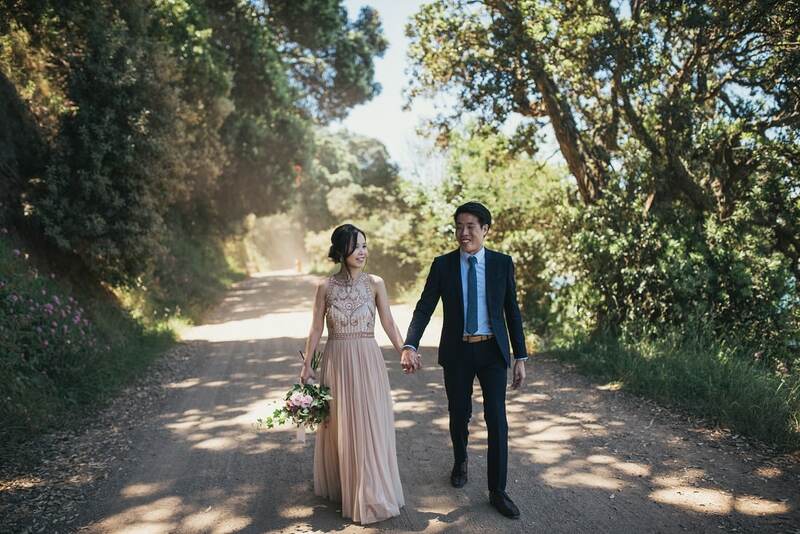 Mei & Joshua will be getting married in Singapore next year but decided to get an album to remember their time in New Zealand with – a great reminder of an amazing time and a cool way to show off your Pre-Wedding photos. 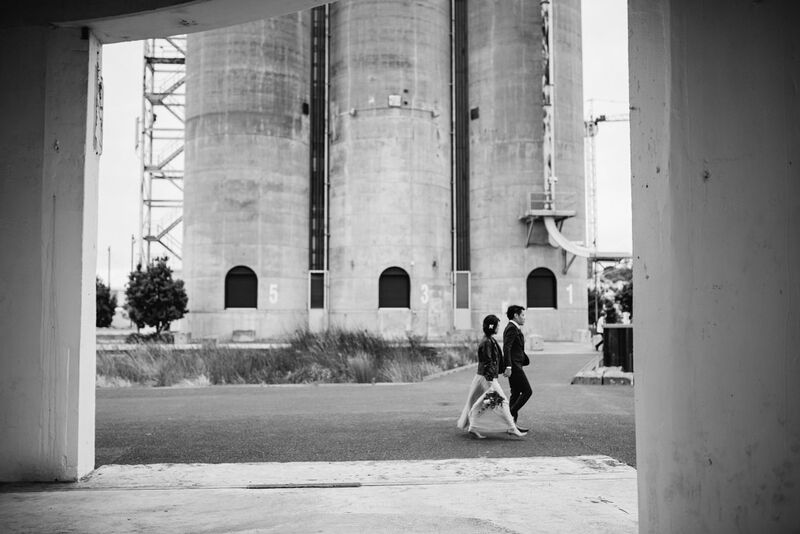 You can see their album here. 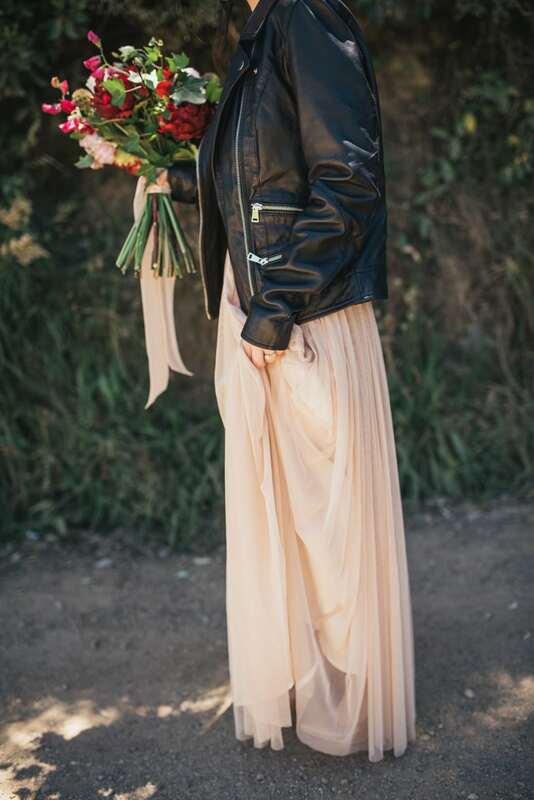 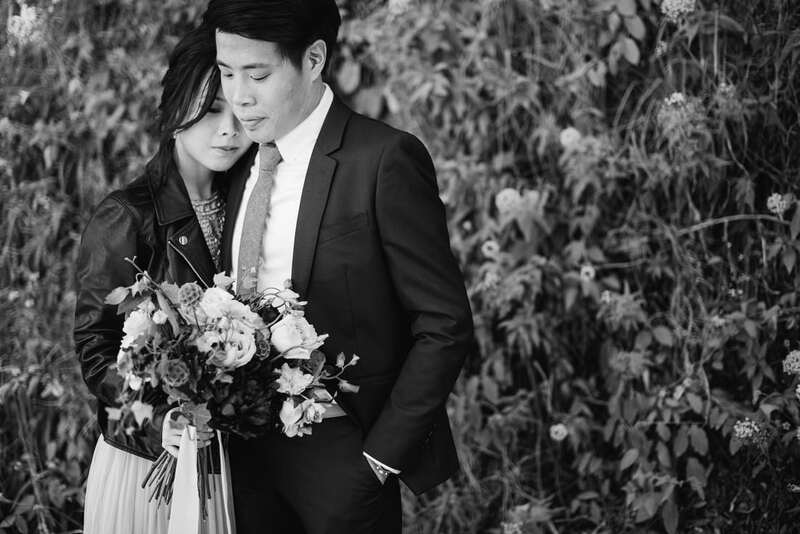 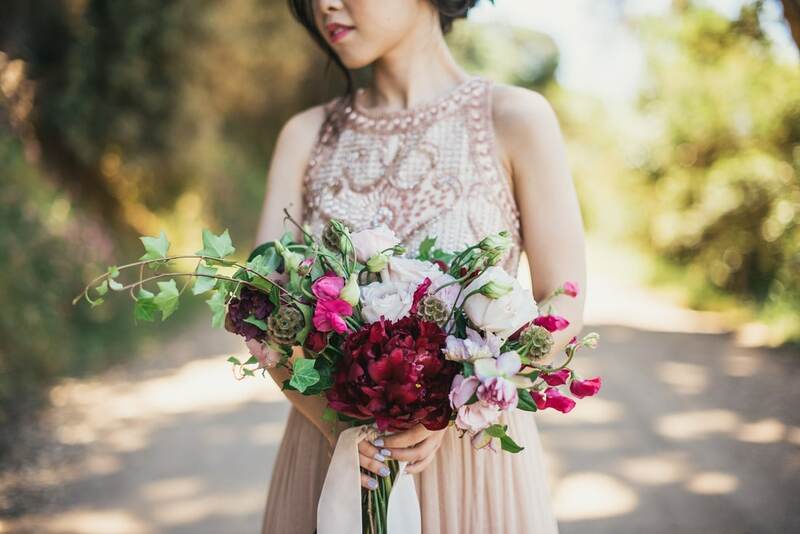 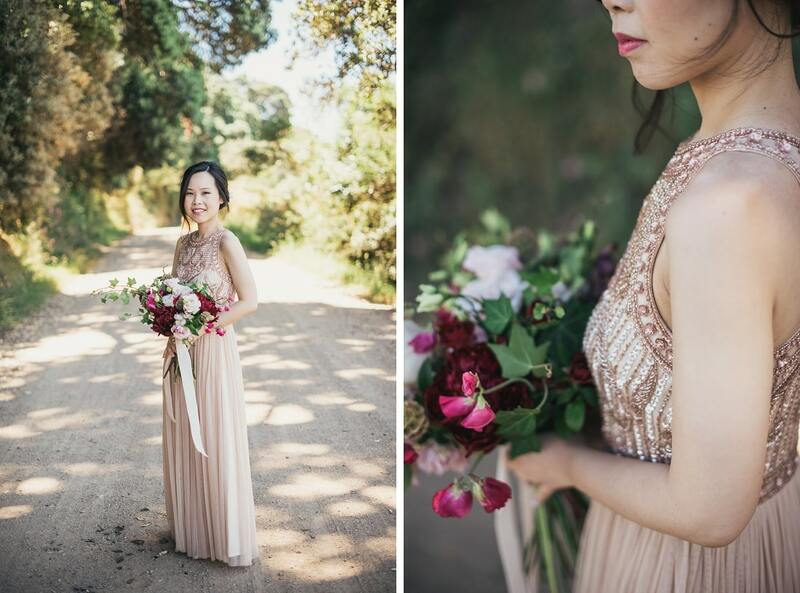 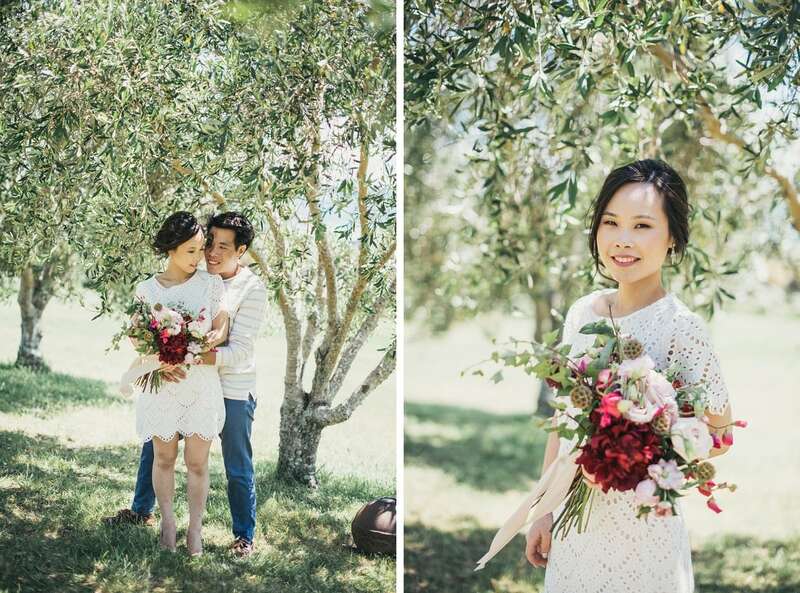 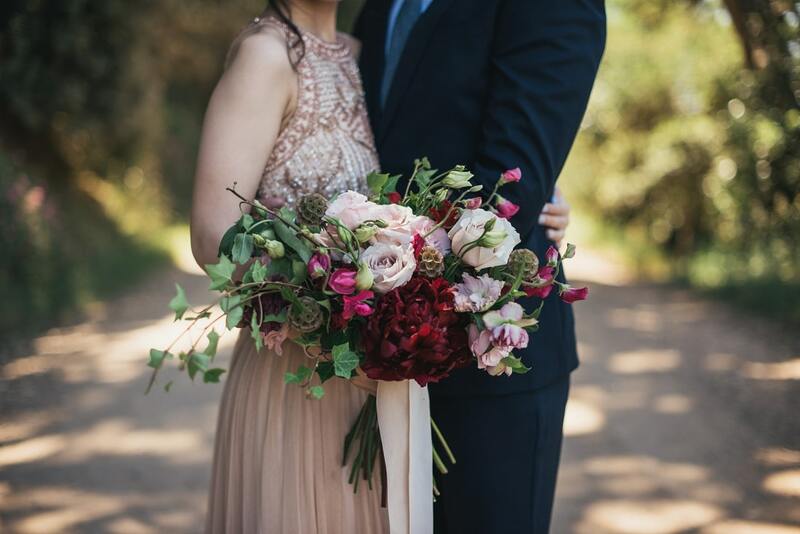 Oh, and that fabulous bouquet Mei is sporting is by the talented team at Blush.